Asking “What’s the best dog food for Great Danes?” is kind of like asking, “How many ping pong balls does it take to fill a swimming pool?” If you’re a Great Dane owner, you know that these gentle giants are very, very good at packing away the calories. And that makes sense right? This is one of the largest dog breeds out there, and the bigger you are, the more energy you need to stay happy, healthy and playful. Of course, like lots of other big breeds, Great Danes also have a few health problems, and a solid diet is usually the first line of defense. Below, we’ve included information on the general nutritional needs for this breed, potential health problems, and some reviews of our favorite dog foods for Great Danes. As if I even need to say this… Great Danes are big dogs. Duh (right?). Pretty obvious, but it’s also important, because the more a dog weighs, the more difficult it can be to correctly calculate how much he has to eat. Please note that the above calorie estimates are based on a 120-pound Great Dane, which is a feasible average weight for this breed. It’s probably a bit low for a full-grown male, and it’s probably a bit high for a full-grown female. Still, we always like to remind you guys that the amount your dog needs depend on a variety of factors, like age, weight and activity level. These are just estimates, and we always recommend you chat with your vet before changing your dog’s diet. In general, though, for a Great Dane that weighs around 120 pounds and is old or inactive, you can expect to feed him about 1806 calories per day. At that same weight, a typical adult dog will eat about 2,200 calories, and a highly active dog (or a dog with a job) may need up to 3,500 calories! I don’t even eat that much! There’s some debate about how much protein a Great Dane should be getting. 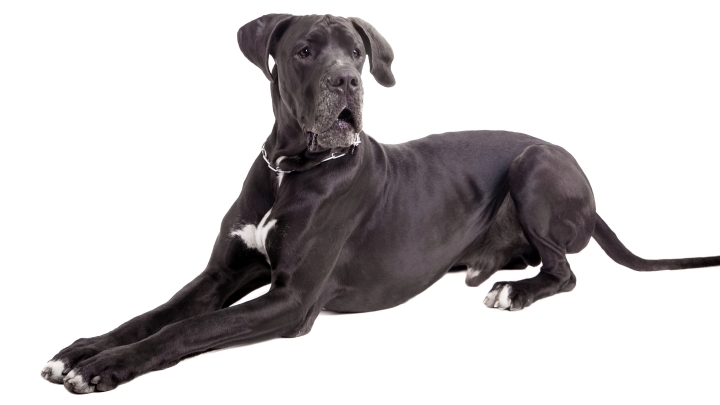 Some owners swear by high-protein diets (in the range of 50% protein), while others tend to feed their Great Danes about half that—or even less. Some owners advocate for protein levels as low as 12%. Most of this controversy revolves around a particular health problem common to this breed: hypertrophic osteodystrophy (more on this below). Basically, sometimes, Great Dane puppies grow too fast, causing problems with development. While some studies have shown (we’re thinking of one study in the Journal of Nutrition in particular) there’s no correlation between protein levels and growth, the general consensus in the Great Dane community is that you should avoid high-protein foods. In the estimate of our experts, the most sensible route is to go with a food that consists of about 20-25% protein. That’s slightly lower than we recommend for most dogs, but it’s a sensible choice for this breed. Just remember that feeding puppies is very different than feeding adult dogs, and most of the information in this guide was written with adult dogs in mind. Because Great Danes sometimes suffer from digestive problems, a diet lower in carbohydrates can help alleviate (or prevent) tummy troubles for your dog. Don’t skip the carbs. Your dog still needs some good, complex carbohydrates for energy. Just make sure they come from good sources, like sweet potatoes. If you suspect your pup does have some digestive issues, it’s usually best to avoid grains, since they can be harder to move through the ol’ system. If you’re going to be going with a diet lower in carbs and protein, you’ll need foods with a bit higher fat content. You don’t need to go crazy here; a food with fat content in the 10-20% range is probably in the sweet spot. And, of course, go for good, quality fat sources, like fish, avocado and flax. Avoid stuff like lard, beef tallow and vegetable oil. Great Danes can have major growth spurts. And, while makes for super-cute, super-clumsy puppies, it can also cause some problems. Hypertrophic osteodystrophy occurs when a puppy’s bones grow too fast and, because of that, don’t develop properly in the first year of your dog’s life (usually around the 2-7 month mark). The best way to curb this is usually to limit energy intake, which means Great Dane puppies might need to eat fewer calories per pound of bodyweight than puppies of different breeds. This is a particularly scary, particularly serious problem common in lots of big dogs who also have deep chests. It occurs when folds over on itself, which prevents gas from escaping. This is very serious. In fact, it’s an emergency, since it can often be fatal. So don’t be afraid to take your dog to the vet right away. Luckily, there are a few rather basic things you can do to prevent this. First, as we mention above, go with lower amounts of carbohydrates and avoid most grains. Second, give your dog smaller, more frequent meals. Lastly, avoid exercise after eating. That last one is probably the most important. No playing after dinner! 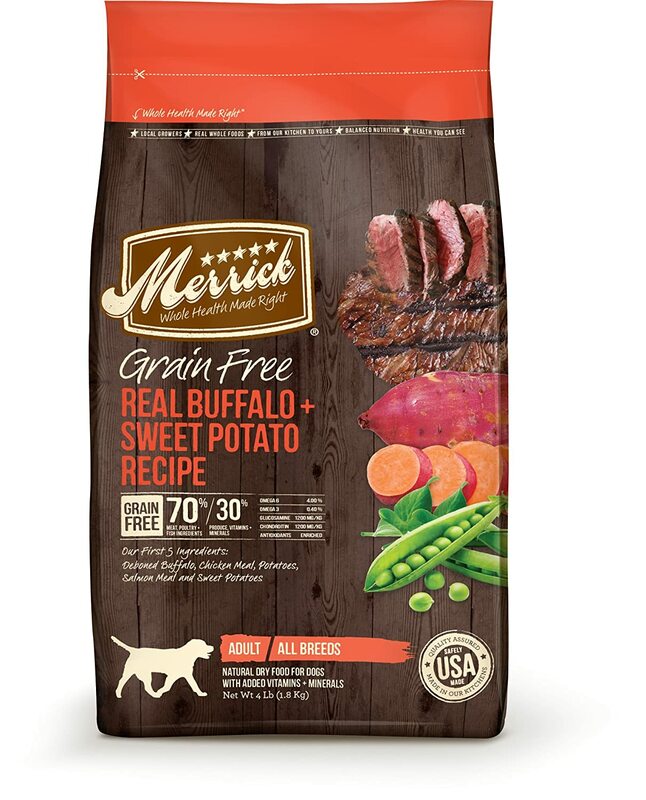 Merrick, in our opinion, is one of the better dog food brands out there. It’s what our dog eats on a daily basis. 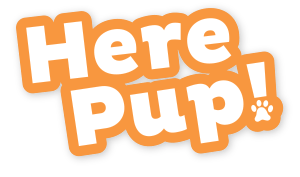 So, of all the excellent dog foods recommended on our blog, this is the one we feed our own pup the most often. I want to be very clear about something here: the protein content of this food is high. As mention above, this isn’t what most Great Dane owners recommend. However, if you’re one of those folks who prefers to feed your dog a high-protein diet, we wanted to give you a really well-balanced way to do that. The main ingredients here are deboned buffalo, chicken meal and turkey meal (all protein). If you are going to feed your dog a protein-rich diet, it’s never a bad thing to feed them protein from several good sources (like these). It’s also a grain-free formula, which can help prevent bloat and keep calorie intake down if you’re feeding a younger dog. All in all, this a fantastic food. You just have to decide if this protein level is right for your specific little (or big, in this case) companion. 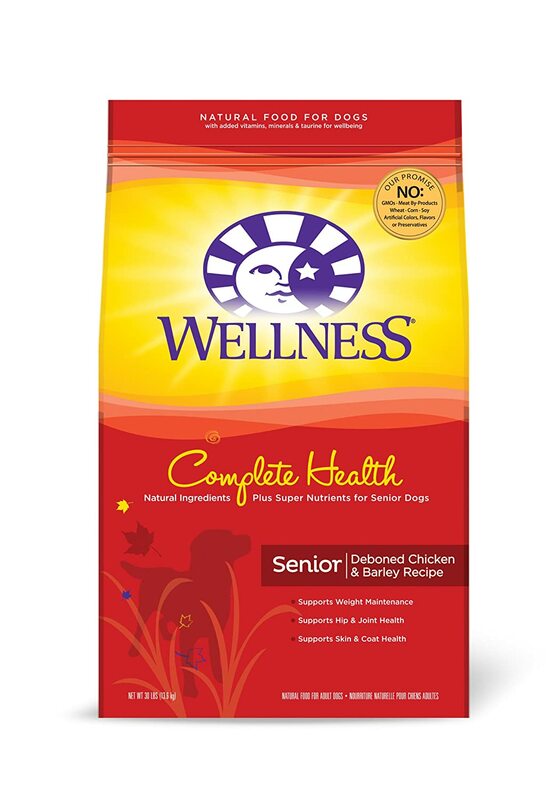 We really like Wellness brand dog food as well. We specifically wanted to include a formula for senior dogs. We felt this was important because Great Danes age fairly quickly and have comparatively short life spans (around eight years). So, you’re likely going to need a dog food for an older dog sooner than you might if you owned a different breed. This formula does include grain, which is a bit more acceptable here, since older dogs won’t be exercising quite as much as younger dogs, making it easy to avoid bloat naturally. Aside for that, there are just really good ingredients here. The main ingredient is deboned chicken, which is a good source of protein. After that, the carbohydrates are provided from oatmeal and barley, both of which are good, healthy, slow-burning grains. We were lucky enough to get a sample of this for our pup to try, and she definitely approved! As a quick note, if you do want a grain-free formula for a senior dog, try NOW! Fresh Grain Free Large Breed Senior Dog Food. It’s not quite on par with Wellness, but it’s a good option for older dogs with tummy troubles. This is a really good all-around choice for most Great Danes. It’s a grain-free recipe, which we like, since this breed is prone to gastric torsion (discussed above). One of the things we really like in this recipe, though, is that most of the proteins come from fish. The main ingredients are trout, whitefish and salmon meal. And that’s awesome because fish are great sources of both protein and fat. And, of course, they provide those essential omega fatty acids. Plus, it includes lots and lots of great fruits and vegetables. Dog foods rich in fruits and veggies are good picks for older dogs, since they have lots of antioxidants. 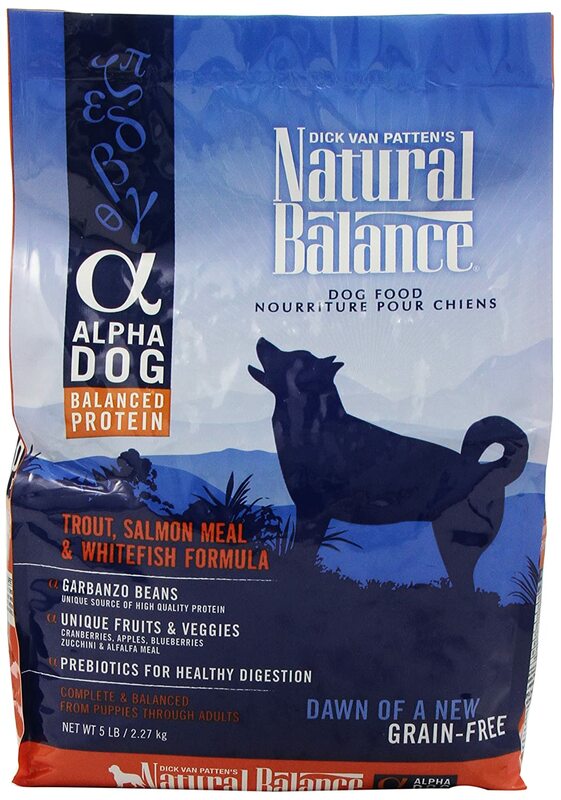 Overall, this is a good, high-quality dog food rich in both lean proteins and fats. 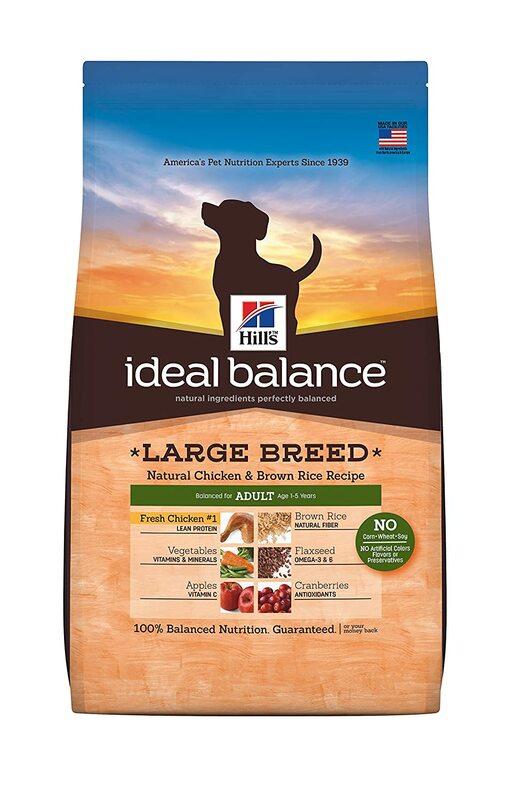 Hill's Ideal Balance chicken and brown rice for big dogs is a good, balanced option with good, clean ingredients. Most of the protein calories come from chicken here. And while it’s the only real source of protein, it’s high-quality stuff. The carbohydrates come from a selection of good grains—whole grain oats, brown rice and barley—so this isn’t the best option for dogs who like to run around after their meals (which would make them at risk for bloat). If that’s not your dog, though, this is a good option. We also really like the fruit and vegetable blend here, which consists of apples, broccoli, peas, carrots and cranberries. That’s probably not enough fruits and veggies for a senior dog, but it’s just find for an adult dog. If you thought this was useful, peep this post on food for the German shepherd breed. We also posted a pretty good guide on how to feed a Doberman here. 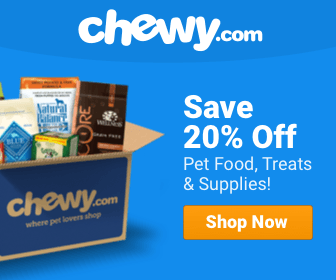 Or, if your dog has been itching and scratching, here's a good article on the best food options for dogs with allergies.